The class teacher for Birch Class is Mrs Bilke and the teaching assistants are Mrs.Doyle and Miss Sparrey. Co-Head Teacher Miss Newton-Smith will teach the class on a Wednesday. Take a look at some of the fantastic things Birch Class have been doing in class and around Malvern! We are working hard to convince each other that our answers are correct. Sometimes we describe what we have done and sometimes we think about how to prove it. TRUE or FALSE? All of the pieces in this square are equal. Aniela and Sophia looked at the square with two rectangles and two smaller squares in it. “It looks like two parts are equal so I think it is sometimes true.” After cutting out the shapes, the girls could see that if you put the two small squares together the two rectangles could fit on top. “Can I cut the rectangles in half to make it fit? Then they would be equal.” Aniela asked. Have you seen the Big Bad pink Pig? Look out for a pig fitting this description! The Big Bad Pig has pointy pink trotters, pink hairy skin and scary sharp claws! He is hungry, deadly, vicious and criminal. Can you help us find this pig? Beware of a pig fitting this description. He has pointy trotters, big pointy ears and a huge snout. Call the police immediately if you spot him. He is hungry, mean and a criminal. Have you seen this evil deadly pig? Look out for a pig fitting this description. The Big Bad Pig has frowning eyes, pointy trotters and pink hairy skin. He is evil, deadly and cruel. Call the police immediately if you spot him. 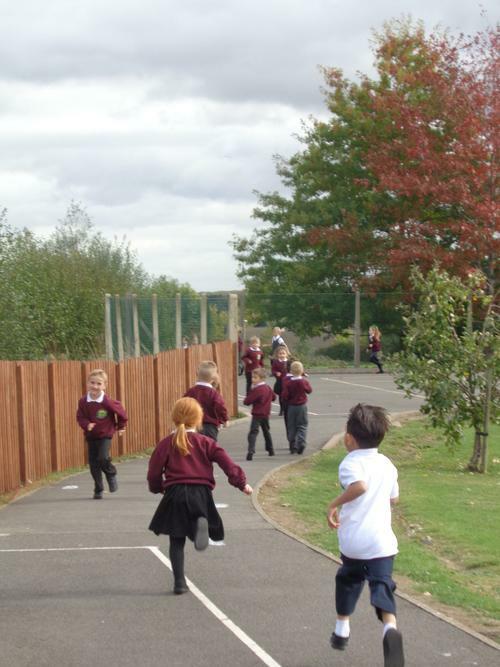 Birch class have been searching the environment for uses of everyday materials. Over this half term we will be investigating some of the properties of materials and finding out why they are used in certain items. After reading the story of the ‘The Three Little Wolves and the Big Bad Pig’ and learning all about materials, the children in Birch class designed a range of houses using edible materials. They made their houses and then used the class fan to test whether they would withstand the ‘ huff and puff’ of the Big Bad Pig. Dennis showed us how he had strengthened the front wall. Some worked! Some didn’t! Have a look at our wonderful creations. In maths we have been working on our reasoning skills. Is it always, sometimes or never true problems. We have learnt to prove it and convince each other that our answers are better than theirs and why! Birch class worked hard on ‘The Noisy Nativity’ this year. They learnt about why and how Christians celebrate Christmas and the importance of all the characters in the story. They learnt many lines, the words to the songs, the actions to the songs and lots of stage directions. It was a truly magical performance. Take a look at some of our photos (there are more photos in the gallery). On Wednesday 21st November Birch Class celebrated Diwali, the Hindu Festival of Lights. Probably the most well recognized are Rangoli Patterns, beautifully made decorations, drawn on floors and even pavements, usually with rice flour and water, or dry and made with powdery, coloured sand. This year, Birch Class painted Rangoli patterns on paper plates and paper doilies. They studied symmetrical patterns and tried hard to have at least one line of symmetry in their designs. Mehndi or mehendi is a form of body art from Ancient India, in which decorative designs are created on a person's body, using a paste, created from the powdered dry leaves of the henna plant. Ancient in origin, mehndi is still a popular form of body art among the women of the Middle East. Mehndi in Indian tradition is typically applied during special Hindu weddings and Hindu festivals like Diwali. In Hindu festivals, many women have Henna applied to their hands and feet and sometimes on the back of their shoulders too. Birch Class designed their own mehndi patterns for their arms and hands. A really big 'Thank You' to Jenny for teaching us how to move in the style of Bollywood Dance. We learnt how to make the dog, dove, twist the light bulbs and show the lotus flower. It was great fun. Aniela said, "When can we do this again?" We stopped looked and listened. Checks completed, we crossed the road. Superman arms tell you where to stand. It is a safe place away from the busy traffic. If there is a road behind you - look! Year 2 have been looking at the lines of symmetry in shapes. 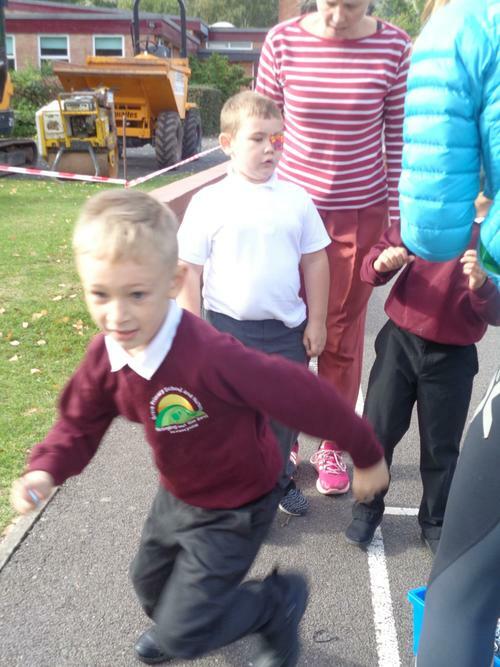 This week Mr Morgan introduced us to Marathon Kids, a charity that helps children to get fitter and healthier but running a little each week. We ran a course and for each lap we earned a wrist band. Mrs Bilke helped us count up our totals and will keep a record each time. Each band represents part of a marathon - did you know a marathon is 26 miles in total? We've got lots of running to do but we're excited to keep going and get healthier! Don't forget - Mrs Bilke can keep track online meaning we can quickly track our distances and reach our goals. Remember to return the Run Free Marathon Kids form so she can enter your details. 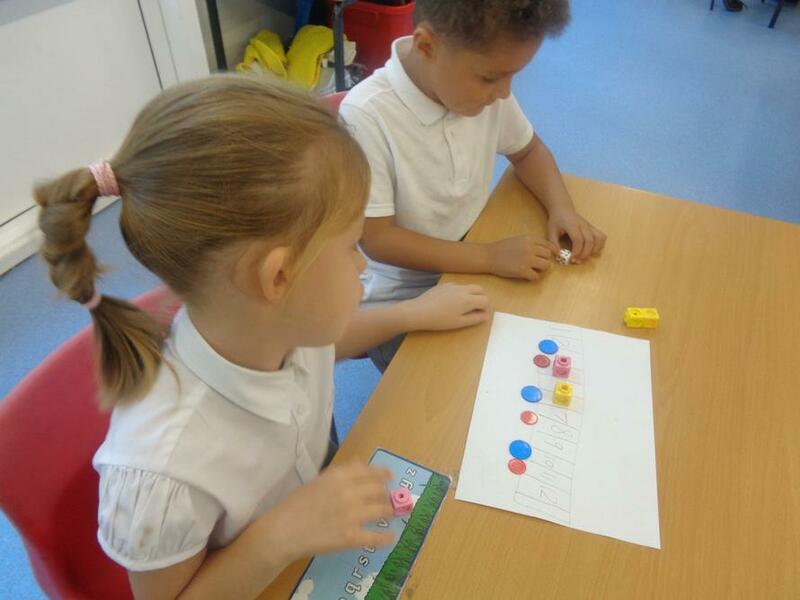 We love to play games in our Maths lessons in Year 2. 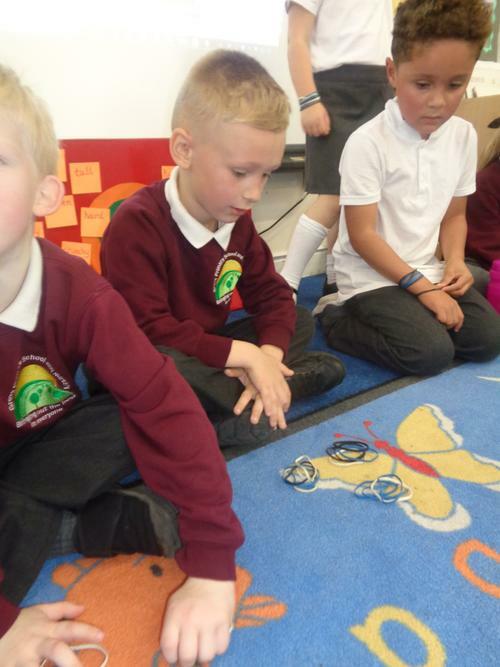 The games help us to remember our number bonds. Our learning log is all about number games this week. Take a look and see if you can play too! Learning Logs - Here are the learning logs that have been sent home this half term.